Avoid these mistakes to increase your conversion rate! What is the best for my company? 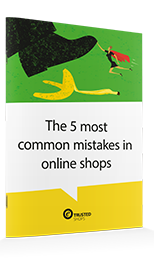 Trusted Shops would like to help you make the best decisions for your online shops and avoid the most common mistakes.